Are Long-Term Tenancy Agreements Beneficial? The debate regarding long-term tenancy agreements being beneficial or not is a tedious one. 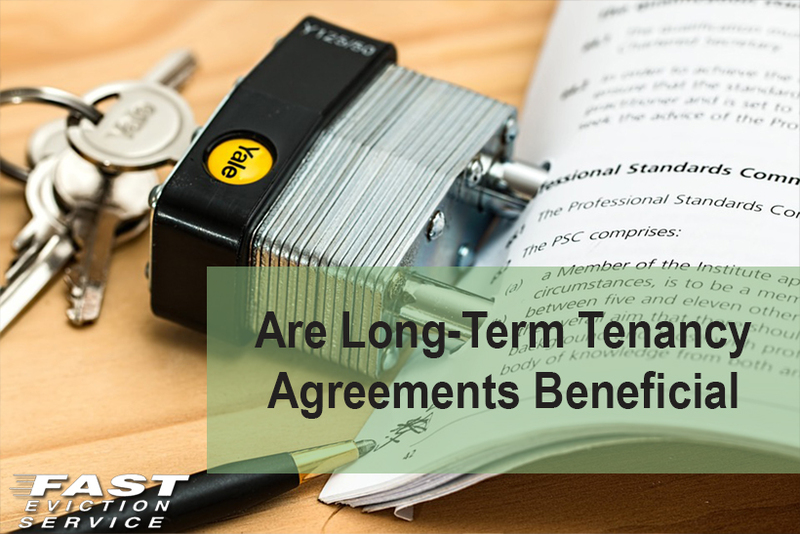 Some tenants argue that long-term tenancy agreements are a good thing as they allow the tenant to stay in the rental property for a long time period. However, landlords often feel that a long-term tenancy is burdensome for them and might even cause them a great deal of loss as well. It is easier to understand why a landlord would not like a long-term tenancy agreement as it stops him from evicting a tenant easily. The following are some others reasons a why long-term tenancy agreement is not beneficial. A long-term tenancy agreement gets in the way of increasing the rent when needed by the landlord unless he has added a provision in the contract which allows him to increase the rent after a certain period of time. Since most of the tenancy contracts don’t include such terms, it would be quite difficult for you to ask your tenant to increase the rent. A tenancy agreement usually requires both the tenant and the landlord to agree on a fixed rent that is to be paid at the end of each month. This is one of the main reasons most landlords don’t consider long-term tenancies as beneficial for them. Long-term tenancy agreements are not flexible. They make it difficult for both the tenant and the landlord in making adjustment or changes to the contract. For instance, if the financial circumstances of the tenant changes and he wishes to add a co-tenant then it would be difficult for you to make this change to the tenancy agreement. Likewise, if the landlord decides that he wants his rental property back then again the long-term tenancy agreement would come in the way. Although changes to the tenancy agreement can be made but it would take a lot of time and you would have to hire an attorney to make them which is going to cost you money. A long-term tenancy agreement limits the rental opportunities for a landlord and proves to be detrimental for him in the long run. Such agreements make it impossible for landlords to rent their properties to tenants who are willing to pay more rent. Having a small-term tenancy agreement is better as it allows the landlord to change his tenants after the passage of a small time period.